"We have found that these drugs turn off the parts of the brain that integrate sensations – seeing, hearing, feeling – with thinking," said David Nutt, co-author of the study and researcher at Imperial College London in the United Kingdom. Nutt is also Britain's former chief drug adviser, who has published controversial papers about the relative harms of various drugs. He was asked to leave his government position in 2009 because "he cannot be both a government adviser and a campaigner against government policy," according to a letter in the Guardian from a member of the British Parliament. Psilocybin is illegal in the United States and considered a Schedule 1 drug, along with heroin and LSD. Schedule 1 drugs "have a high potential for abuse and serve no legitimate medical purpose in the United States," according to the Department of Justice. But in the early stages of research on psilocybin, there's been a bunch of good news for its medicinal potential: psilocybin has shown to be helpful for terminally ill cancer patients dealing with anxiety, and preliminary studies on depression are also promising. Nutt's study is also preliminary and small, with only 30 participants. His group used magnetic resonance imaging (MRI) to look at how the brain responds to psilocybin, from normal waking consciousness to a psychedelic state. The study found that the more psilocybin shuts off the brain, the greater the feeling of being in an altered state of consciousness, he said. It's not the same as dreaming, because you're fully conscious and aware, he said. The medial prefrontal cortex, the front part of the brain in the middle, appears to be crucial - it determines how you think, feel and behave. Damage to it produces profound changes in personality, and so if you switch it off, your sense of self becomes fragmented, Nutt said. That's what happens when psilocybin decreases activity in it. "Some people say they become one with the universe," he said. "It's that sort of transcendental experience." Another brain region that psilocybin affects is the anterior cingulate cortex, which is over-active in depression, Nutt said. Some patients with severe depression that cannot be treated with pharmaceuticals receive deep brain stimulation, a technique of surgically implanting a device that delivers electrical impulses directed at decreasing activity in that brain region. Psilocybin could be a cheaper option, Nutt said. It's counterintuitive that a hallucinogenic drug would de-activate rather than stimulate key brain regions, although other studies have shown a mix of results regarding psilocybin turning brain areas on and off, said Roland Griffiths, a professor of psychiatry and neuroscience at the Johns Hopkins University School of Medicine. Griffiths was not involved in Nutt's study, but has also researched the effects of psilocybin. Even if this drug gets approved some day, don't expect to be able to pick up a prescription for psilocybin at your local pharmacy, Griffiths cautioned. There's too much potential for abuse, he said. Although scientists have found many positive effects of psilocybin in experimental trials, there are of course potential dangers. Some people have frightening experiences while on psilocybin. The fear and anxiety responses of magic mushrooms can be so great that, when taken casually in a non-medical setting, people can cause harm to themselves or others. They may jump out a window or run into traffic because of a panic reaction. The drug would have to be administered in a controlled setting in a hospital, if found in further research to be an effective and safe therapy for certain mental illnesses, Griffiths said. It would not be appropriate for people who already have psychotic disorders such as schizophrenia, since psilocybin can exacerbate those symptoms. But among healthy volunteers, Griffiths and others have found that people may have long-lasting positive effects from the vivid memories of being on psilocybin (in a controlled, experimental setting). People report mystical experiences of feeling the "interconnectedness of all things," which can be life-changing. "People claim to have an enhanced sense of self, more emotional balance, they're more compassionate, they're more sensitive to the needs of others," he said. "They have more well-being and less depression, but they're not 'high' in any conventional sense. They feel like their perceptual set has shifted." The memories of the psilocybin experience, and positive outcomes that users attribute toward them, can last as much as 25 years, research has shown. Still, there's just not enough known yet about the long-term safety of psilocybin to say whether it could also do damage to the brain, Griffiths said. "There’d have to be changes in the brain for these long-lasting memories and attributions to occur," Griffiths said. "We don’t know how those changes occur, and why." I took mushrooms years ago and the experience rates among the most important experiences of my life. I am not at all surprised to see that these recent studies are finding such powerful and long lasting therapeutic effects. I am surprised by how sloppy the reporting is in this piece though. 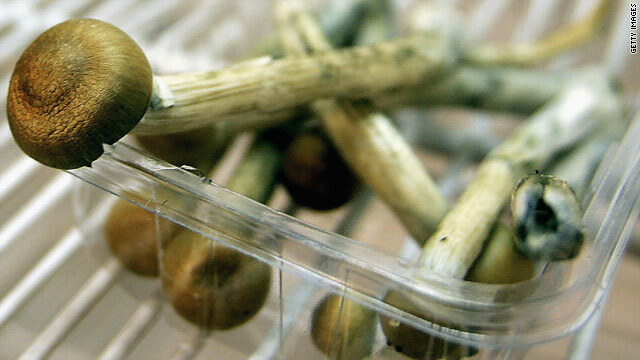 Psilocybin has almost no potential for "abuse." No study has ever indicated that it is addictive. In spite of how powerful and positive and wonderful my experience was, I didn't feel any need to revisit it. A curiosity, perhaps, but I never sought it out again. And flatly stating that people may jump out of windows or run into traffic? If such things occur, it must be exceedingly rare. This substance does not make you insane, it makes your childlike sense of wonder more accessible. If anyone has run into traffic, they were insane to begin with, or on more than just mushrooms. In any case, there is no evidence that anyone has died as a direct result of consuming psilocybin mushrooms. It is absolutely ridiculous that psilocybin is a schedule 1 drug. When I did shrooms it was life changing. As if I my soul was no longer connected to my mind, the world was seen from an unbiased view. First I thought I was dying because I had been so depressed for so long, I was literally drowning in my tears. My best friend basically removed my mask. She asked me what was wrong. Everything poured out. While I felt like I was literally dying, I thought I was going to hell. In my mind I was dying. Therefore, my whole life flashed before my eyes and in that instant I realized I needed to change. I was sick of being a fly on the wall my whole life. I didn't want to keep being a coward. My personality has changed and I believe it has been perfected. Not that I'm perfect. I am content with who I am now. It cured my depression. It made me feel like I do have a purpose in life. It made me realize that my whole life I have been waiting for a perfect moment, I've been afraid, I have been waiting for the world to move. But I can make the world move. Life truly is what you make it. 🙂 Maybe someone else who had a near death experience can say the same thing. The only difference is that their experience was physical and my near death experience was only in my head. Either way, when you face death you have nothing else to be afraid of. You're left with appreciation for life. Anyway, my brother is schizophrenic. I want to try this. I believe he'll be who he used to be... normal, funny, likeable. After all, everything is in the mind, even your perception. And since your brain chemicals are constantly changing, who's to say that his brain is permanently "imbalanced"? Maybe its not. This chemical imbalance thing is ONLY a theory. One that hasn't been proven at that. "The drug would have to be administered in a controlled setting in a hospital"
Sounds like a good way to increase anxiety while tripping. about 40 yrs ago I was a kid growing up in the pscilocybin era. Interesting that the mushroom effects seeing as that is what happened to me, I went blind for a few minutes, that was enough experimentation for me, I never touched them again. As well people do jump out of windows & have bad trips if they take too much in the powder form, I know this has happened. So there's been instances where someone has died because they've eat eaten a bunch of mushrooms and thought they could fly. How frequently do we hear of fatal instances where somebody has drunk a bottle of whiskey and thought they could drive a car? "When I [asked Professor Nutt] why LSD was prohibited, he has a surprisingly simple three-word answer: "the Vietnam war". Essentially, when its use spread to the general population in the mid 1960s, "Young Americans realised they didn't want to fight any more. That brought a huge tension into society. So they had to create reasons for banning the drug. Everyone knew the arguments were totally specious. But no one stood up."" My daughter (Annabel) suffered schizophrenia for 5 years. I had no idea what was happening and didn’t know where to turn for help. It was hard then because I really didn’t understand the symptoms earlier until she was diagnosed. There was a time she decided to get away from everyone, I was not excluded. I had to sit and cry almost every day because I felt helpless as a single mother (she is all I have got). The anguish I went through taking care of her alone is beyond explanation because there was no support of whatsoever from the dad or family members. I fought for proper medical care and humane treatment; I did everything within my reach to get her cured but all to no avail. Countless different medications was prescribed (Zyprexa, fluphenazine, Risperdal, quetiapine, etc.) that she was taking but all we could get was myriad of side effects such as rigidity, drowsiness, dizziness, tremors and restlessness which tends to worsen the already damaged situation. Frustration was the order of the day. I wrote couple of messages to Ontario Mental Health Foundation for help because watching my daughter go through such was devastating. It was at this foundation someone shared a testimony about VEEMEON herbal medicine, how effective it is and how she went through the most difficult times of her life trying to help her mom fight Schizophrenia. Being that I was already at the verge of giving up because I just couldn't imagine waking up every morning to fight the same demons that left me so tired the night before. I had to contact the doctor, from our conversation; I was relieved and convinced that the result is going to be positive because I was made to contact people with worse cases. Today, the awful situation of my daughter has gone by. Her happy life is back. She is now a schizophrenia survivor and I am glad because my daily routine activities can now kick off without obstructions. Don't let Schizophrenia hinder you from living a desired life and also, never allow anyone decide for you especially when they don't know what you have to go through to get to where you are. I was almost discouraged by the doctor but then, I remembered that: I have to shield my daughter’s destiny with courage, faith and perseverance because she is not in her right state of mind and that the bravery and freedom from fear is found in the ‘doing’. Her life is now a testimony. After my daughter got cured, she said, Mom “I just thought, ‘Well, I’m a weirdo, I’ll never be normal, then I said, my daughter, life itself is a misery and we get stronger in the places we have been broken. Thanks to you Dr. Austin for your excellent counseling, no more psychotic symptoms for the past 3 years and 4 months now. To know more about Dr. Austin and the effectiveness of his Herbs, You can view his blog: schizophreniacures.blogsopt.com. I believe you will testify just like me.